President Mustafa Akıncı will receive the UN Secretary General’s Special Adviser on Cyprus Espen Barth Eide today. Akıncı and the Greek Cypriot Leader Nikos Anastasiades will also meet again tomorrow. The meeting will start at 11:00 in the buffer zone as part of the Cyprus negotiations. 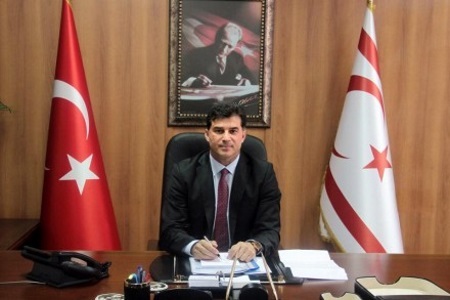 Prime Minister Hüseyin Özgürgün stated that Turkish Cypriot people have repeatedly proved their constructive and self-sacrificing manner for a fair and permanent solution in Cyprus. In a statement to mark the 21-25 December National Struggle and Martyrs Week, Prime Minister Özgürgün mentioned the Cyprus problem. The 3rd President of the TRNC Dr. Derviş Eroğlu stated that Turkish Cypriot people are able to call North Cyprus their homeland, that they established a state to live in safely, and that they can look to the future with hope despite some troubles, all because of the epic struggle between 21-25 December 1963. Eroğlu stated that the struggle given against the Greek Cypriot attacks all across the island on Bloody Noel, 21-25 December 1963, was very important and one of the most meaningful, honourable, and heroic resistances. Eroğlu stated that the Akritas plan which aimed to demolish the Turkish Cypriots was entered into force on 21 December 1963 and it was their aim to quickly take the whole island under Greek hegemony. In his message for the “21-25 December Struggle and Martyrs Week”, former President Eroğlu stated that the Turkish Cypriot people passed through a very difficult time thanks to their determination, freedom, desire for sovereignty and strong ties to motherland Turkey. 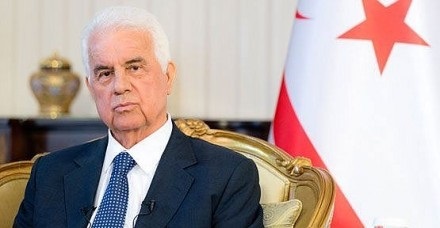 Eroğlu also said that the Turkish Cypriot people have experienced painful events that they never want to experience again. The virtual exhibition titled “Our Struggle for Existence” consists of 21 photographs from the Public Information archive and can be visited at http://mfa.gov.ct.tr/pio/en until 25 December 2016. This entry was posted in News and tagged 21 December National Struggle and Martyrs Week, Cyprus negotiations, Derviş Eroğlu, Espen Barth Eide, Hüseyin Özgürgün, Mustafa Akıncı, Nikos Anastasiades, North Cyprus, TRNC. Bookmark the permalink.